I have had the fantastic opportunity of interning at the Hocken through the University of Otago’s Humanities Internship, which offers students the chance to be placed in an organisation in Dunedin and undertake a project in place of a paper. The internship counts towards your degree, which is absolutely fantastic and I strongly encourage any student of Humanities to sign up. Before starting my internship, Charles Brasch was a name I had heard, but not a name I knew anything about. I started at the Hocken at the beginning of August, and though I have only spent a short time here, I feel as though Charles Brasch and I have become great friends. My project was a continuation of the project started by last semester’s intern, which allowed me to jump right in and get started. I worked with the Charles Brasch Literary and Personal Papers Collection, cataloguing photographs that he donated to the Hocken when he died in 1973. The background to the collection and how it has been catalogued is interesting, and it is amazing how archives can evolve over time when new developments come about. The photographs in this collection were originally repackaged and catalogued in 2003. While they were listed on the Hocken database, not all of them were able to be identified. Now, there are more resources available to help with identification, such as Charles’ published journals, which have comprehensive biographical notes on many of Charles’ friends, family, and people he met during his life. The power of Google is another useful tool that can be used to identify people and places. Some of the photographs in the collection are used frequently for publication, which is one of the reasons why the curator of the collection decided to add more detail to the catalogue. Having a more detailed catalogue improves findability, which for such a vast collection is extremely helpful. For example, I found a photo of Charles with authors C.K. Stead and Janet Frame looking more relaxed than the commonly published version of the photo. Further, some of the photographs are already digitised, and having a more detailed listing will allow online access to those photographs. There is also potential for the further digitisation of images. Charles Brasch was an avid photographer and was something of an archivist himself. Charles’s photographs span decades, and the collection consists not only of his personal photographs, but also of family photographs handed down to Charles. Cataloguing such a mammoth collection is no small task, but it is an enjoyable one. I quickly found that the most frustrating aspect of cataloguing photographs in this collection was trying to figure out who the people in the photos were. Charles did not inscribe all of his photos; in fact, finding one with an inscription that I could actually read was a feat in itself! Thankfully, Charles kept personal journals, which the Hocken also has in its Collections, and some of these have been transcribed and published by the Otago University Press. These have been essential in my quest to put names to faces. Charles was very detailed in his journal entries, and it was rare that I could not name someone. However, when I couldn’t name someone it was quite frustrating! 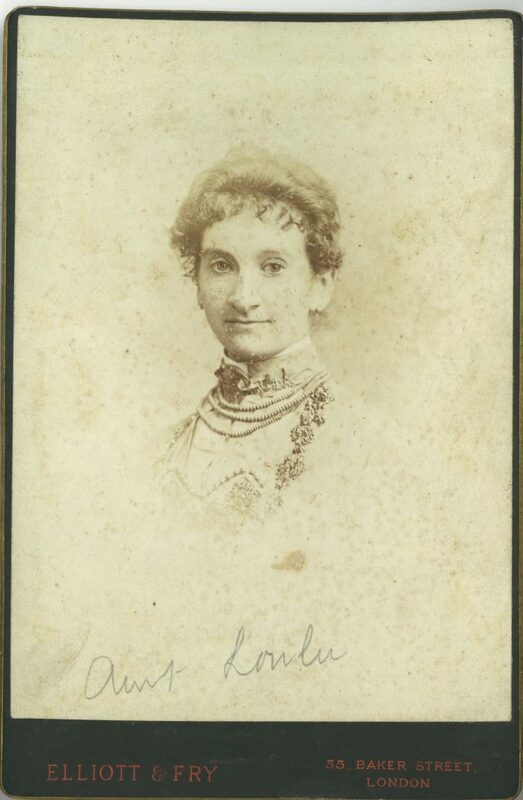 On one particular occasion there was a woman who I could not identify, but later in my cataloguing journey she showed up again and Charles had inscribed that later photo so I could go back and name her in the photos I had previously seen. Being able to do so was extremely satisfying. Tangible photographs are something we sadly rarely see anymore, so working with ‘proper’ photographs has been fantastic. Charles travelled often, and documented both the big and the small things. For someone such as myself, who has never travelled either the South Island nor ventured over the Pacific, these photographs allowed me to travel alongside Charles, and see things as he saw them. I feel very lucky to have been given the opportunity to work with the Charles Brasch photographs. Having never done any archiving before, my eyes have been opened to a whole new world, and I am genuinely amazed at how much work goes into archiving. I have a whole new appreciation for archives, and I strongly encourage everyone to utilise them where they can. I am extremely grateful to both the University of Otago and the Hocken Library for allowing me to work with such an amazing collection. The exhibition Picture/Poem: the imagery of Cilla McQueen and Joanna Margaret Paul that has just opened in the Hocken Library’s gallery brings together the creative works of award-winning poet Cilla McQueen and respected painter Joanna Margaret Paul. The pair met in Dunedin in the late 1970s and during the following decade their lives continued to intersect. Both artists have strong ties with the University being past University of Otago Arts Fellows. 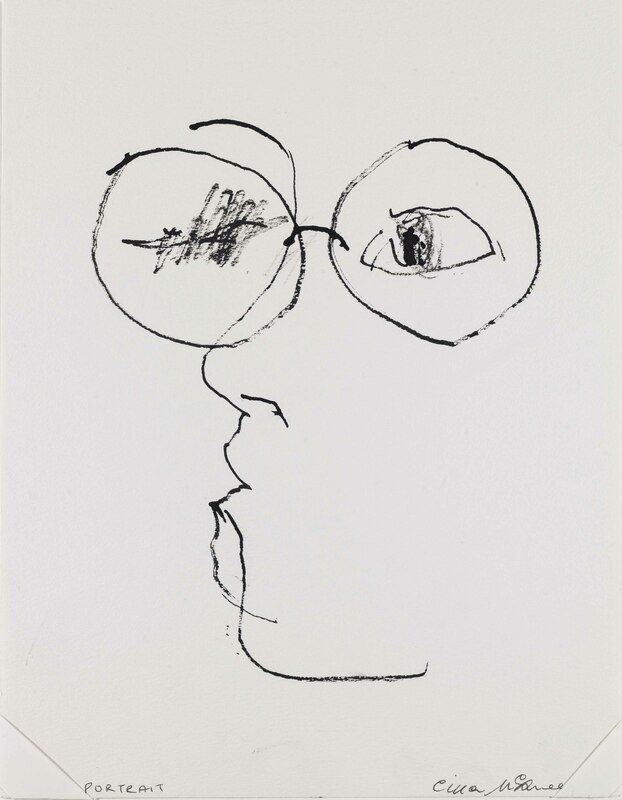 Paul was a recipient of the Frances Hodgkins Fellowship in 1983 and McQueen was Burns Fellow 1985 and 1986. McQueen’s first poetry collection Homing In (John McIndoe Ltd: 1982), included a poem Paul titled “Joanna”. She penned a second poem dedicated to her friend after Paul’s untimely death in 2003. McQueen credits Paul, who was also an accomplished poet, with showing her that McQueen herself was a visual artist. The Hocken is home to hundreds of artworks by both Paul and McQueen, many of which have been gifted by them or in the case of Paul, her estate, who generously donated nearly 200 of her sketchbooks in 2008. The exhibition focuses on works from the 1970s and 1980s, created while these artists were living in Dunedin. 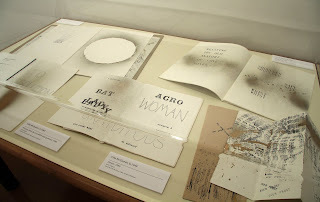 It includes twenty-eight artworks (predominantly works on paper), published work, musical scores, artist’s books and ephemera relating to the life and work of these two creative women. 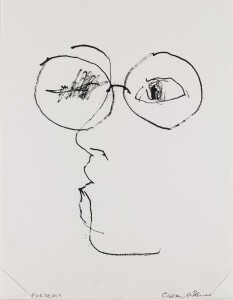 Many of Paul’s works in this show have not been exhibited before. Most of the works are drawn from the Hocken’s extensive art collection but a small group of works have been borrowed from her Estate. 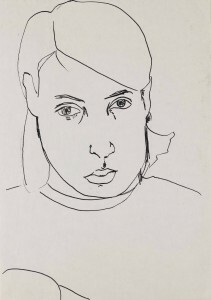 A double portrait by Paul (c.1970) recently gifted to the Hocken came from the collection of the late Michael Hitchings. The painting features Michael and his former wife, Maureen Hitchings. This couple, like Paul and McQueen, contributed to the shaping of Dunedin’s cultural outlook during this period. Michael was Hocken Librarian from 1965 to 1984 and Maureen ran the Dawsons Gallery where Paul exhibited in the 1970s. The Hocken has a wealth of other material relating to both Paul and McQueen. 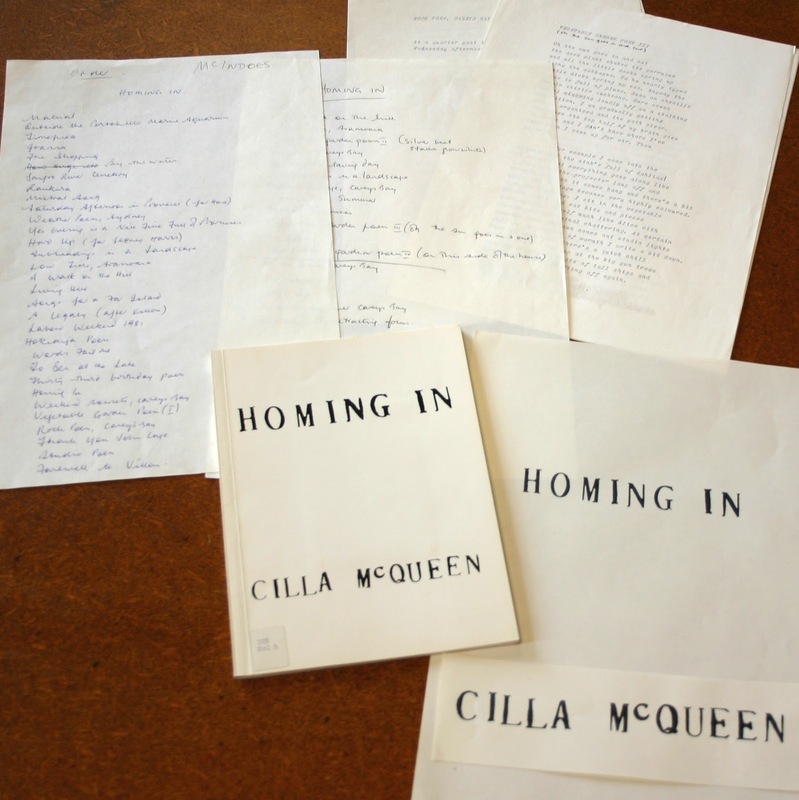 The archives collection houses the literary papers of Cilla McQueen and the business records of Dunedin’s John McIndoe Ltd, the publisher of McQueen’s early poetry collections. There are letters from Joanna Paul to Deidre Airey, Ruth Dallas, Charles Brasch, Hone Tuwhare, Heather Murray and others, including to Cilla McQueen. An artwork by McQueen called Sequestered (2009) was purchased by the Hocken in 2010. McQueen made it by scratching text onto a series of six outmoded computer floppy discs that contained a late twentieth century manuscript by McQueen. The texts, etched into the surface of the black circles, are partly occluded with red seal wax, an evocation of other modes of communication that are facing obsolescence – the tradition of handwritten letters. 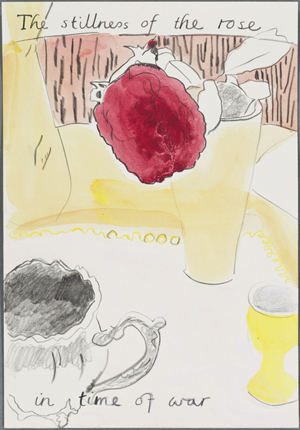 One series by Paul makes its debut in Picture/Poem – Untitled (The Stillness of the Rose . . .), 1974-1980, comprises seven water-colour and pencil works conceived to be viewed as a single creative work. Curiously each separate piece of this work was created on the same day over a period of seven years. 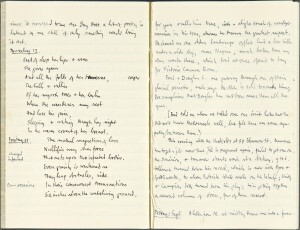 Each part contains a fragment from the poem ‘The Rose’ by American writer William Carlos Williams. This work was purchased by the Hocken just this year. 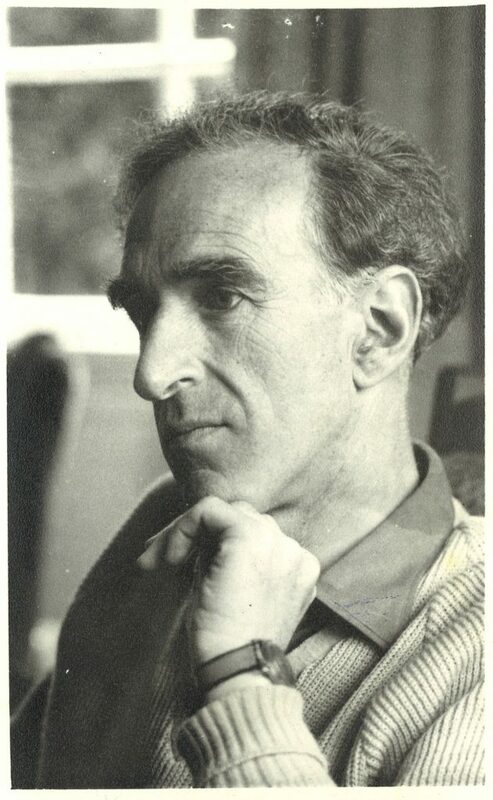 We are delighted to announce that the papers of Charles Brasch have been inscribed on the New Zealand Memory of the World Register. 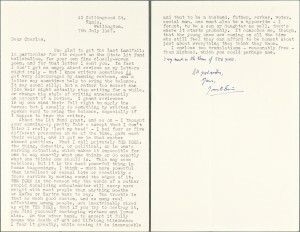 At a national function at the Hocken on Thursday (November 28), the Charles Brasch papers were announced as a significant new addition to the UNESCO register, along with the Sir Edmund Hillary Archive at Auckland Museum and the original score and lyrics of God Defend New Zealand held at Auckland Libraries. UNESCO launched the Memory of the World Programme, which promotes the nation’s heritage stories to the wider community, in 1992. It sits alongside UNESCO’s better-known World Heritage List and Register of Intangible Cultural Heritage. The New Zealand Programme was established in 2010. “The Memory of the World Trust is truly delighted to welcome these three inscriptions of such distinguished documentary heritage items onto the register. All three greatly contribute to the story of our nation’s heritage and are significant to the identity of New Zealanders today,” the Memory of the World New Zealand Trust Chair Dianne Macaskill says. Hocken Librarian Sharon Dell says the Inscription of the Brasch papers onto the Register is also recognition of the national importance of the Hocken as a research archive. 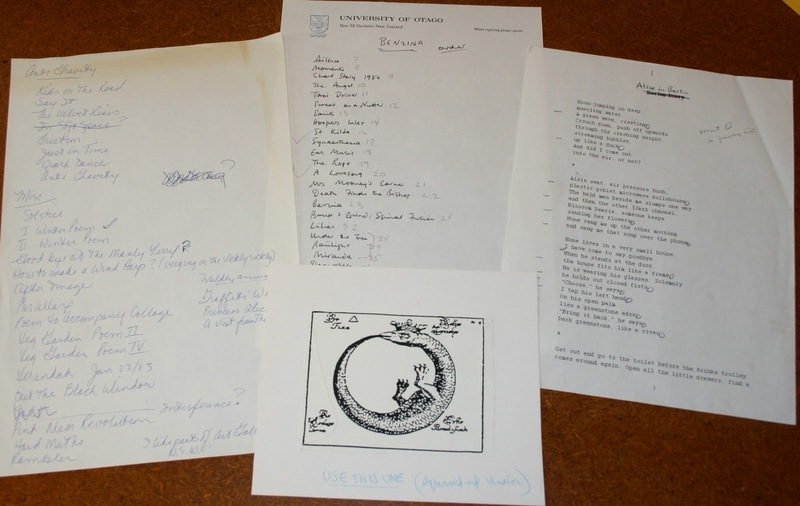 “This is a huge advantage for University staff and students to have a resource like the Charles Brasch papers in their midst. As well as conferring a higher level of protection on this archive resource, this inscription from UNESCO also enhances the Hocken’s international profile,” she says. Hocken Curator of Archives and Manuscripts Anna Blackman says after Brasch’s literary and personal archive was opened at the Hocken in 2003 (30 years after his death), the significance of his legacy began to be appreciated. “We are very fortunate that the Hocken holds such a substantial collection – 25 linear metres of his personal letters and archives. 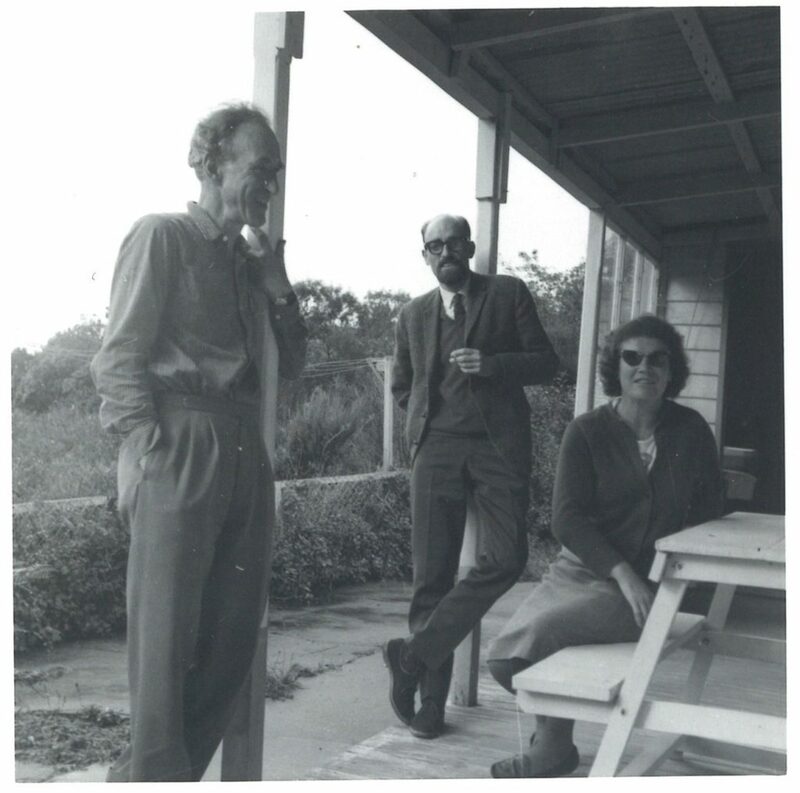 The work, papers and journals of Brasch are now a significant resource for researchers focusing on New Zealand’s rich cultural and literary development during his life-time,” she says. Charles Orwell Brasch (1909-1973) corresponded with over 600 individual people and this correspondence forms the bulk of the collection. 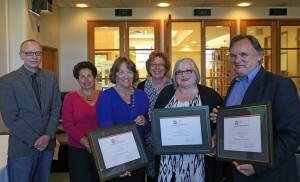 People represented include Janet Frame, James. K Baxter, Colin McCahon, Frank Sargeson, James Courage, James Bertram, Rita Angus, Toss Woollaston, Alistair Campbell, Fred and Eve Page, Douglas Lilburn, Louis Johnson, Denis Glover, Ruth Dallas, Carl Stead and many more. Brasch’s editorial activities and contribution to the literary scene, as well as the thoughts and opinions of his correspondents are documented through the correspondence. 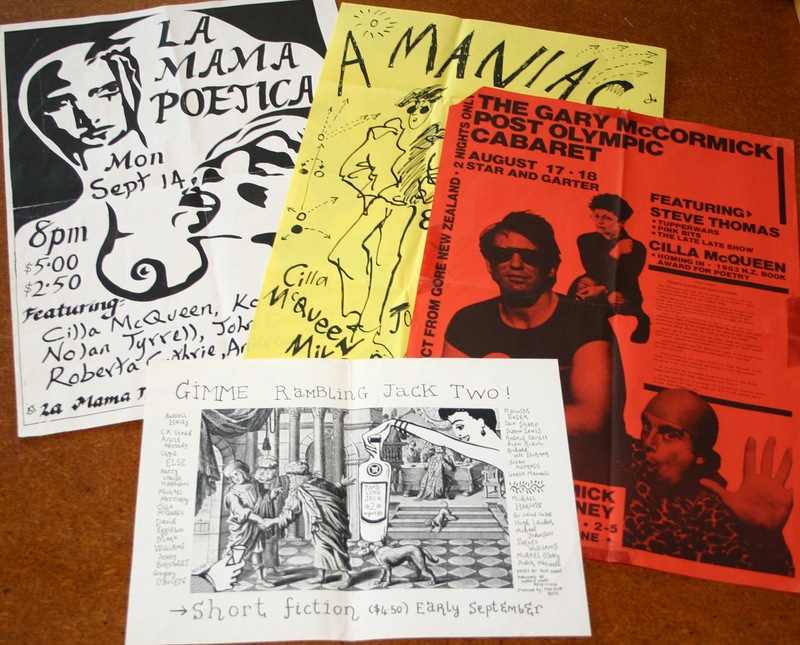 “It is a unique insight into the opinions and activities of this group who created so much of New Zealand’s cultural life,” says Anna Blackman. From 1938 to just prior to his death Brasch wrote a personal journal. These journals document both his inner life of thought as well as his opinion on many topics and his everyday activities. Further information about Memory of the World and the inscriptions on the register can be viewed on www.unescomow.org.nz. 20 May 2011 marks 150 years since Gabriel Read discovered the payable gold that led to the Otago gold rush in an area now known as Gabriel’s Gully near the Otago town of Lawrence. This momentous discovery and the gold rush that followed rapidly transformed the face of Victorian Dunedin. This exhibition, which explores the use of gold in contemporary art and photography, has been mounted to commemorate this sesquicentennial. Artisans and artists have been awe struck by this highly malleable and alluring precious metal for thousands of years. At a time of economic hardship when the price of gold is soaring, the contemporary art and photography included in this show encourages us to look beyond the monetary worth of this precious metal and to value gold for its physical properties and symbolic associations. 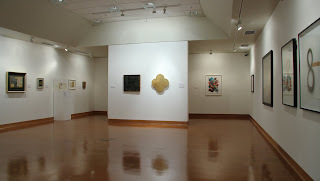 The show includes more than forty artworks and photographs that either employ gold as a material or colouring, or take gold mining as their subject. There is a focus on work by artists with strong associations to Otago such as Cilla McQueen, Ralph Hotere, Mary McFarlane and Russell Moses. 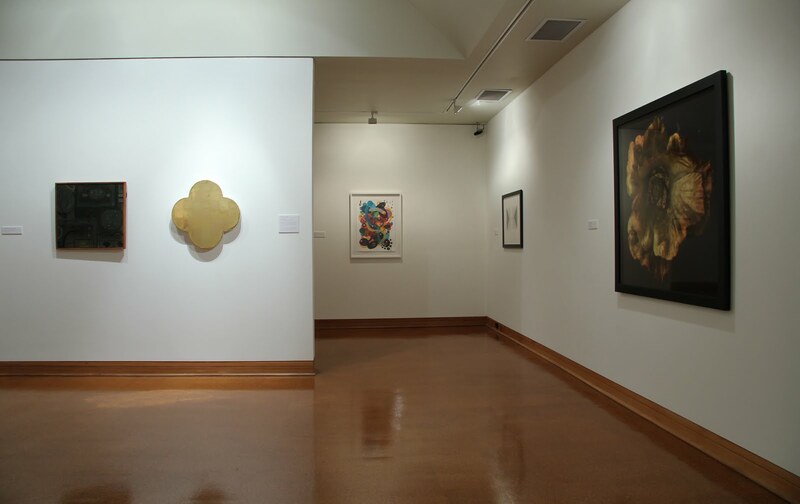 Other artists that feature in the show, and well known for their use of gold in their work, are Tony Lane and Max Gimblett. Photographers with work on display include Ben Cauchi and Marti Friedlander, who use the early photographic process of gold toning as well as Peter Peryer and Peter Evans who have both captured the open cast gold mine near Macraes Flat in East Otago. A small number of historical items including a fifteenth century Book of Hours from, an 18th century Russian ikon, late nineteenth century gold-toned photographs by Rev John Kinder and an album of photographs of Chinese miners who worked in various Otago goldfields, provide a historical context for the contemporary works. Cilla McQueen is one of New Zealand’s major and much lauded poets. Her first volume of poetry, ‘Homing In’, was published in 1982 and since this time she has published eleven volumes of poetry, several of them award winners. Themes including landscape, loss, homeland, displacement and colonisation infuse her evocative writing. In 2009 she was appointed Poet Laureate for 2009-2011 and in 2010 her most recent volume of poetry ‘The Radio Room’ was published. McQueen has held the University of Otago’s Burns Fellowship for 1985 and 1986, a Fulbright Visiting Writers’ Fellowship to Stanford University in 1985 and a Goethe Institut Scholarship to Berlin, in 1991 she was awarded the QEII Arts Council Scholarship in Letters. She has also won the New Zealand Book Award three times. McQueen received an honorary doctorate in literature from the University of Otago in 2009. In 2012 she received a Prime Minister’s Award for Literary Achievement (Poetry). McQueen is also an accomplished and popular performer of her poetry.